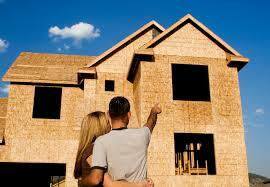 New Construction Permits UP 61.5%! Homebuilders are loving this market! The lack of inventory has provided them with a plentiful pool of buyers. According to a recent article in the Atlanta Journal Constitution, permits to build new homes increased 61.5% in 2013 vs. 2012 and “The number of homes under construction is still lower than demand”. This presents a HUGE opportunity for home and land owners, especially in sought after areas which are “closer in” and in good school districts. It doesn’t require a PHD to figure out that homes that show well and are priced correctly sell quickly these days. However, the high demand locales lack inventory of existing homes and land to build new ones. Some of us are trying to figure out what to do with “mom’s house”, which happens to be in the hot part of town. It’s been lovingly maintained; just not updated and not sure whether to update or to skip that step and sell. No worries, investors and builders are combing the hot areas for undeveloped lots/land as well as homes to remodel or rebuild. The Spring selling season is approaching and demand will continue to increase as we approach Summer! If you or someone you know is considering selling a home, land or mom’s house contact me TODAY to learn how to exploit the opportunities of this seller’s market. Jackie Robinson is one of the most admired people in sports. But unlike most sports heroes, his battles did not take place only on the athletic field. His most important battles were against the pervasive national racism that not only excluded blacks from participation in major league baseball, but from economic opportunities in fields of all kinds. Rachel Isum was Robinson’s fiancee. They had met in 1940 when she was a first-year nursing student at UCLA and he was already an accomplished athlete. They were married on February 10, 1946. Two weeks after the wedding, they left for Robinson’s first spring training, for the minor league Montreal Royals, in Daytona Beach, Florida — the deep south, a bastion of hard-core racism. In an interview with the Houston Chronicle, Rachel Robinson later recalled, “That first spring training was like a nightmare. There was so much degradation. There was bigotry like we had never encountered.” But Jackie, with Rachel at his side, endured the indignities of the training trip and a season filled with countless insults, threats, and bean balls on his way to leading the league in batting, runs scored, and fielding. And don’t forget to enter to win $50,000!